This gorgeous hand crafted leather travel Valise is for the distinguished western gentleman or gracious western gentlelady. It is just the right size for that weekend getaway for two with a comfortable shoulder strap and outer pockets made of luxurious motorcycle leather. 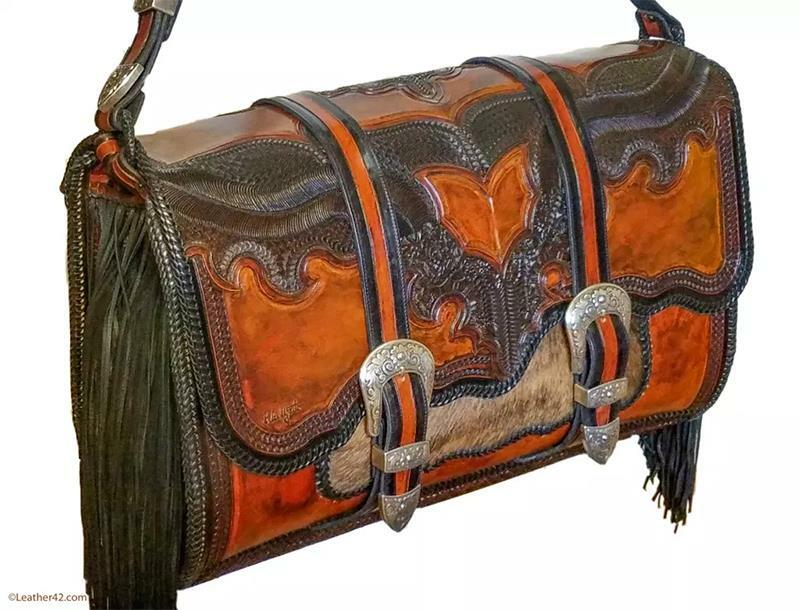 The bag is lined with soft pigskin and has beautiful black lacing and deer skin fringe. The beautiful hand tooling is distinctively “old world” craftsmanship. Anyone who owns this gorgeous bag has a piece of Old World craftsmanship that will last a lifetime! The Nico Valise measures: 22” long x 14” high x 9.5” deep at the base.